4 cylinder red 2014 SUV/Crossover. Black interior. Alarm, 16 inch wheels and CD player. GCC spec Nissan with Alarm, 16″ wheels and Fog lights. Price reduced! Automatic Nissan Juke with 17 inch wheels, air conditioning, adaptive lighting, red interior, white exterior. GCC spec Juke from 2014 with a 4 cylinder engine. Grey/Silver SUV/Crossover with black interior. It has airbags (front and side) and ABS. GCC spec Nissan Juke, grey/silver SUV/Crossover with black interior. It features navigation system, 17 inch wheels and ABS. GCC spec Juke from 2016 for AED 53,000 with a 4 cylinder engine. Red SUV/Crossover with grey interior. It has tuner/radio and power windows. Automatic Nissan Juke with 17 inch wheels, CD player, airbags (front and side), red on the outside, black interior. GCC spec 2016 Nissan Juke, 4 cylinders, white SUV/Crossover with black interior. It comes with climate control and tuner/radio. GCC spec 2014 Nissan Juke, 4 cylinders, white SUV/Crossover with black interior. It comes with ABS and CD player. Jamil - Second Hand Nissan Juke Pure Drive are great little cars. They have a unique style which really drew me to the vehicle. Options inside are enough to keep us happy; I recommend anyone to buy this car. Pros: Engine, fuel economy and looks. Cons: Petrol tank is small. Shaheen - I got my import pre owned Nissan Juke at a fantastic price in Dubai. Good specs, accident-free and killer looks. The Turbo engine works wonders and generates enough power to get around. Next year, I’d like to buy a Nismo Edition. Pros: Engine and interior options. Mohammed - I work in the export car trade and every time we sell cars to customers they always ask for the Juke. I had to try a used one myself. What great cars they are, easy to drive, park and fill up. Finding a used Nissan Juke for sale in Dubai, UAE was easy all were available at reasonable prices. The popularity of the brand leads to great resale value for the Juke not to mention easy to buy used Nissan Juke in Dubai, UAE. The Juke is no Joke. With a variety of four-cylinder petrol engines on offer with varying outputs. Japanese car parts in the UAE are readily available across the Emirates. With such a small statue and as it shares its platform with smaller cars in the Nissan range, handling is rather agile. Base models may be front-wheel drive, but pay a little extra and you can get an all-wheel drivetrain. This quirky crossover debuted in 2010 as a 2011 model with a body shape the world hasn’t seen since the 60’s with many referring to the cars as rolling coke bottles. 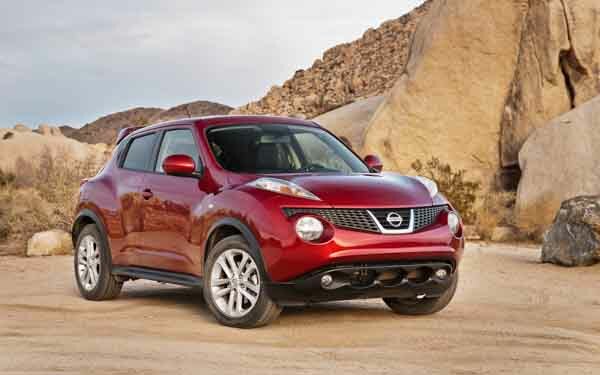 Love it or hate it, the Juke has proved popular over the years and has drawn in the sales ever since. Road Rivals:Kia Soul, Renault Duster Suzuki Jimny. With its unique style, the funky crossover won the hearts of the young generation but also weaselled their way into the hearts of older ones too. Massive round fog lights stuck out immediately at the front end which shadowed the “V” grille in later generations. A handful of trims is available in various countries with the most recognisable being the S, SV, SL and NISMO. Much like every other Nissan, S serves as the base model equipped with basic options such as fabric seats, CD player, power windows, manually adjustable seats and essential powered accessories. Higher trims receive a plethora of upgrades including leather seats, xenon headlights, Bluetooth connectivity, sunroof, power seats, navigation, drive mode selector, reverse camera and rear spoiler as well as a selection of alloy rims to choose. Seating inside is available for five people although the rear bench is quite a squeeze for those over a certain height. Rear seats can be folded down for extra boot space. 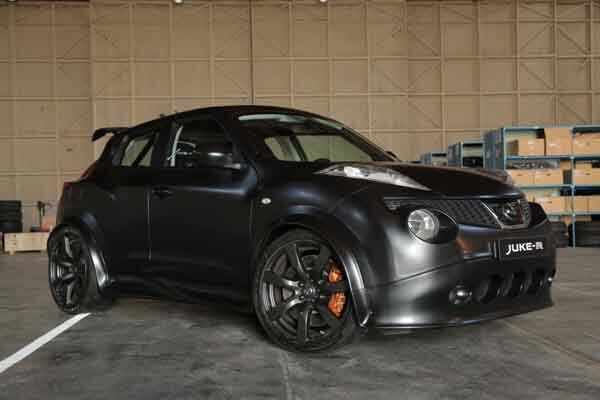 In 2013, Nissan joined forces with race car manufacturer RML to create a ludicrous cross between the Juke and their very own Nissan GT-R. With the body of the Juke and the heart of a GT-R, this was to be the ultimate sleeper car. With an estimated 0-100 km/h time of just 3 seconds thanks to the GT-R’s 3.8-litre V6 petrol engine, between 17 and 23 of these Juke-R’s are to be built with two already completed and shipped off to their owners. To achieve the final product, the two tirelessly worked on the exterior and interior in order for the Juke to cope with the new heart. Fitted with performance tires, rear spoiler and heavy duty brakes, each one of these takes weeks to build with unique exterior trims compared to standard models. Each one costs over AED 1 million. Powering either the front wheels or all four of them is a 1.6-litre four cylinder motor which is either naturally aspirated or turbocharged depending on trim. Various amounts of horsepower are channelled through a 5 or 6-speed manual or a CVT. 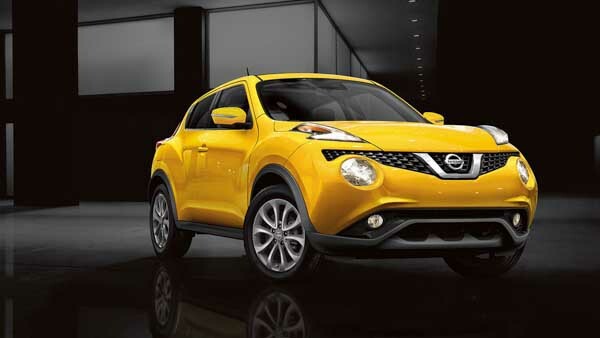 Except for the Juke-R which is controlled by a dual-clutch automatic. 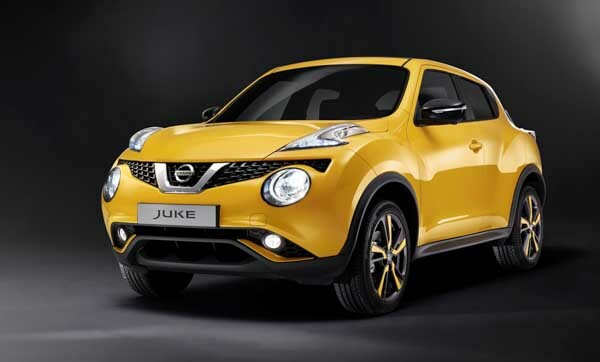 Although this is not 100% for sure, reports claim that the Nissan Juke will enter its second generation in 2017 trim. It’s expected to receive an overhaul to both the interior and exterior. The large round fog lights are said to return due to their iconic look. Engine volumes and cylinders are expected to remain similar to the previous generations with naturally aspirated and possibly a turbocharged induction. If you want to buy a 2017 second hand Nissan Juke for sale in Dubai, UAE, you may have to wait a few months as the model has yet to hit the new market.